Over the extended Winter break, I didn't do much drawing. 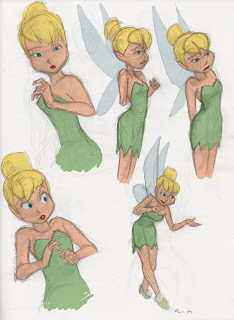 But, while I was watching Disney's "Tinkerbell and the Lost Treasure", I was inspired by the great poses the animators achieved on Tink! Some really great stuff. 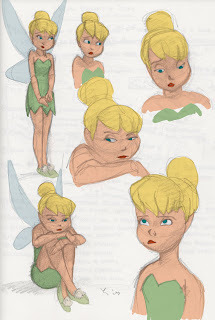 You don't realize the beauty of Tink's character design (or at least I didn't) until you draw it for yourself. Great design and colors. 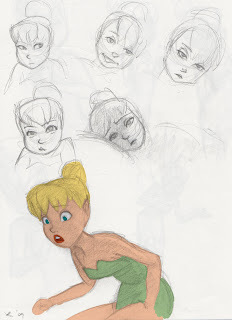 So, below are some sketches I did while watching the movie; I recently colored them in Photoshop.